The education provider for the new University of Peterborough may be replaced with leaders of the landmark project opening up the vital role to a bidding process. University Centre Peterborough was chosen a year ago to be the academic partner for the new technical university, which is scheduled to open its doors to 2,000 students in 2022. But despite being days away from accelerating its progress it has now been told by the Cambridgeshire and Peterborough Combined Authority - the county’s mayoral body - that it will need to reapply to keep its position. The combined authority acted after receiving the findings of new independent reviews on the university’s progress. The reviews concluded that there is now a ‘robust plan’ in place to deliver the university on time, with a campus on the Embankment. Mayor of Cambridgeshire and Peterborough James Palmer insisted that it was always the combined authority’s intention to open up the role of academic partner to a tender process, and that the timetable for the new university remained on schedule. He also denied that this was a reaction to previous disagreements among stakeholders over the university’s curriculum. Mayor Palmer said: “We put in place these reviews to make sure we had the right people giving us the right information. “We have to make sure the university delivered in Peterborough will not fall flat or come short. “It’s absolutely imperative that what we end up with is a high quality, technical university that’s going to feed the economy here and the jobs market. “We are determined to continue to invest in Peterborough. Peterborough’s future prosperity in the region is reliant upon people who are educated to degree apprenticeship level with technical skills. “It’s an ever-changing market place and clearly technology is moving at an exceptional rate. It’s only appropriate that we provide a university that reflects that. The tender process to choose the education provider will run from June to November. UCP is a joint venture between Peterborough Regional College and Anglia Ruskin University. Last year it appointed Sir Les Ebdon - who has previously been involved in the establishment of new universities at Plymouth and Bedfordshire - to drive the university project forward. However, a UCP spokesman said the application, although completed, had not been sent off yet. It was due to be submitted this month, but that will now be put on hold while UCP bids to remain as the university’s education provider. A UCP spokesman said: “Peterborough Regional College remains supportive of the establishment of an independent university in Peterborough and understand that due process must be followed during any funding and procurement exercise. 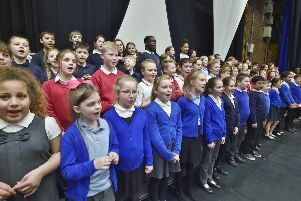 “Having made a significant contribution to the project we would wish to remain as the education provider as we are a local and independent provider and firmly ingrained in the Peterborough community. Members of the combined authority’s Skills Committee will discuss the findings of the reviews and a way forward at their meeting on Wednesday, April 3. The optimistic picture provided by Gleeds and Pinsent Masons are in contrast to findings from HM Treasury and the Local Government Association which revealed major disagreements among stakeholders, with a recommendation that the project be delayed. Cllr John Holdich, chair of the Skills Committee and leader of Peterborough City Council, said he was pleased the independent reviews showed there was a “robust plan” in place. He added: “What is important now is that we ensure we are partnered with the best, most progressive and innovative academic partner to make this happen.
. Construction of the campus is due to start next year.